You know him best as Ron Swanson, but this seems totally un-Swansonlike. 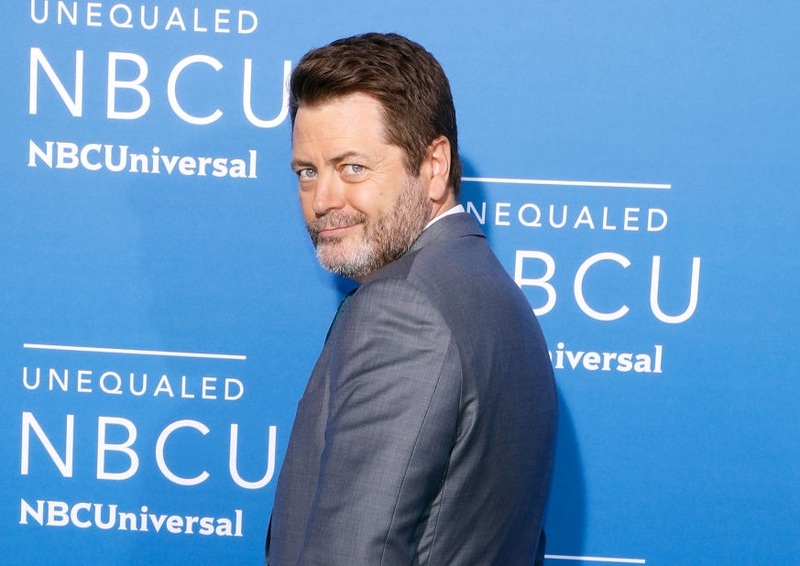 Nick Offerman gave a tip for surviving 2017 through a video created by Vanity Fair, and from the looks of it, his incredible advice will be turned into a sporadic mini-web series — kind of like his past castmate Chris Pratt’s “What’s My Snack” videos. His advice definitely comes at a great time. We mean, sure — it’s had its good moments, but surviving 2017 has been somewhat of a struggle all-in-all. Offerman appears in the video sans facial hair, which is a little tough to swallow. He looks good no matter what, but at this point, we’re so used to his beard and mustache. Funny enough, that’s the first thing Offerman addresses in the inspirational short. The series will be called “Common Sense with Nick Offerman,” and as you can tell, it already has a quirky intro. While Offerman is much like the character of Ron Swanson (as in, they’re both incredibly manly and love woodworking) this first piece of advice is something we’d just never imagine Ron giving. That advice? To communicate more, and show your love and appreciation. "We spend far too little time showing each other basic affection. If no one shows you love, you begin to feel unloved," Offerman said. "Say hello to a stranger. Offer a handshake to someone who's done something worthy of a handshake. Perhaps even give somebody an unexpected hug — assuming, of course, that this is okay with the somebody." Offerman makes an incredible point. We can’t wait to see what other advice he has to give as the series moves forward — we definitely need all the tips we can get.